Civil Trial Attorney Bernard F. Walsh of Goldman Babboni Fernandez & Walsh expressed solidarity with members of Manatee County Law Enforcement Honoring Officers who gave their lives in the line of duty. Bradenton Florida, May 17th – Attorney Bernard F. Walsh, joined with members of the legal and law enforcement community to honor fallen officers at the 34th Annual Fraternal Order of Police Memorial. 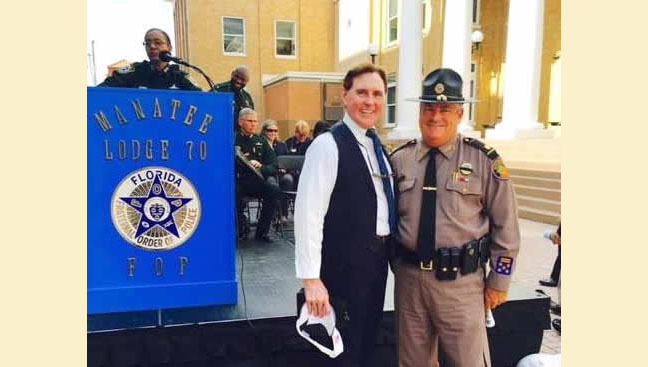 Recognizing the sacrifices made by Police and State Troopers and their families across Florida, the ceremony held by the Manatee Lodge 70 Fraternal Order of Police was part of a larger event that included other law enforcement organizations all over Florida. Also in attendance at the tribute were several officials from the State, County and Florida Highway Patrol including Manatee County Sheriff Rick Wells, Florida Highway Patrol Major John Baumann, and State Attorney Ed Brodsky. Partner at the Personal Injury and Civil Trial Law firm of Goldman Babboni Fernandez and Walsh, Bernard Walsh has helped hundreds of Floridians get fair compensation for injuries. 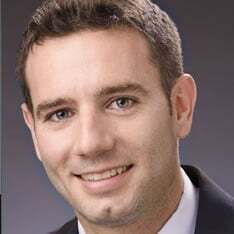 Additionally, Bernard Walsh has won one of Florida's largest motorcycle accident recoveries and has an AV Preeminent® rating on Martindale-Hubbell®, a doctors and attorneys ratings website and is a Superb rated attorney with Avvo.com.